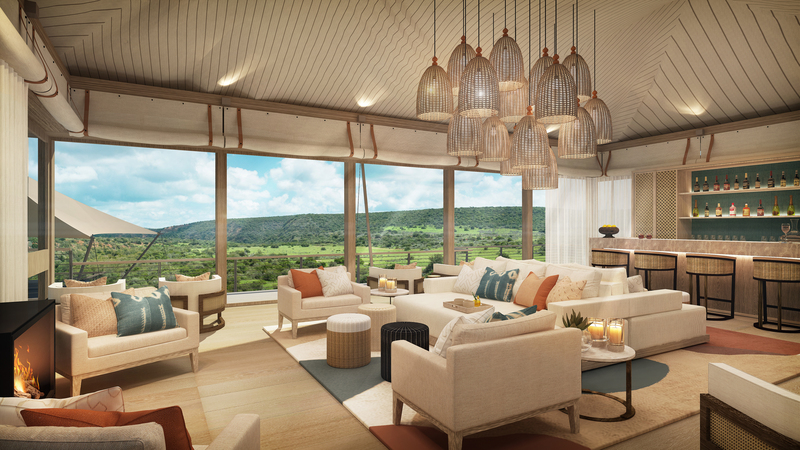 Still awaiting its official name, this new tented camp is nestled in the bush on a hillside in the Shamwari Private Game reserve. Guests will be welcomed by a spectacular panoramic view, looking over the Boesmans River and across the plains. With little to no light pollution visible from the specially selected site, this camp will offer a complete removal from the outside world. This modern and architecturally designed tented camp will focus on the guests and provide them with a luxurious and memorable stay. 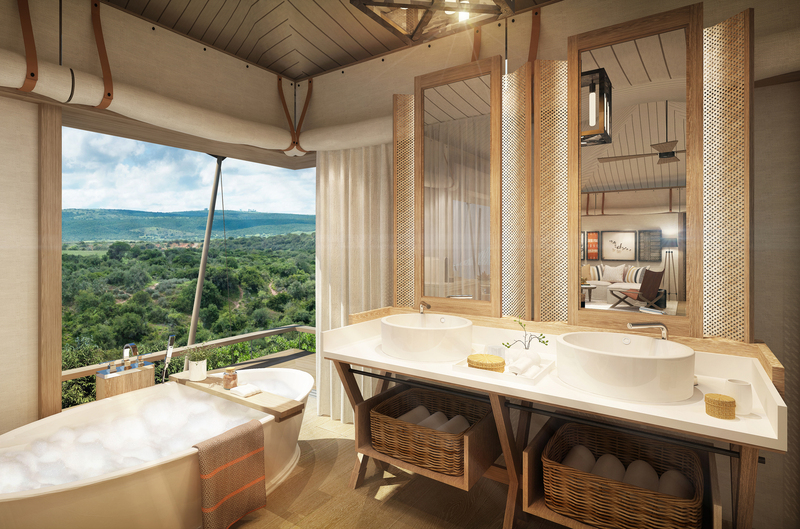 Nine guest tents will each have a fireplace, large 4 poster bed, a generous lounging spot, en-suite bathroom and a heated plunge pool. 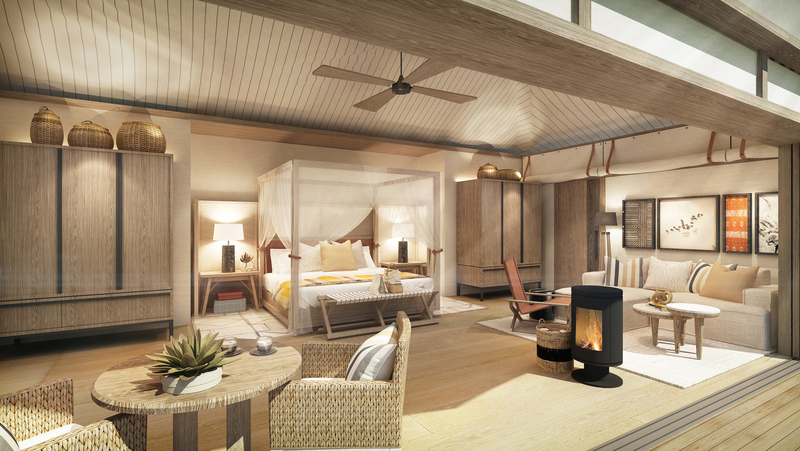 The public areas of the lodge will be made up of large staggered tents, joined by decks and elevated walkways. The intimate lounge and bar will provide comfortable seating to encourage guests to relax and recline while enjoying their sundowners. 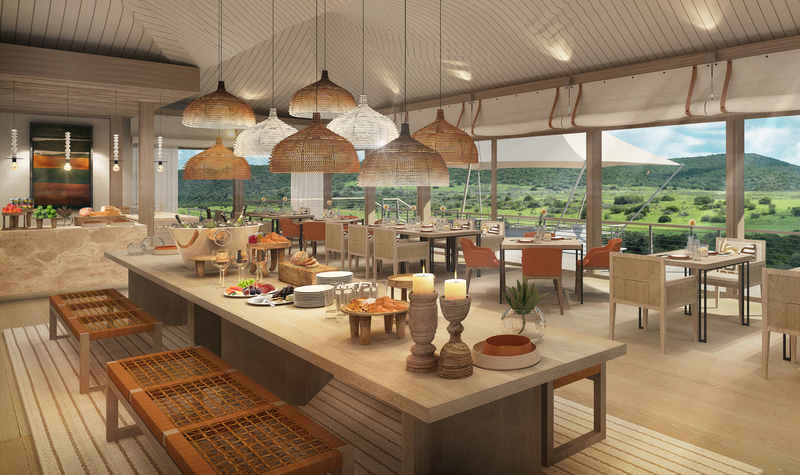 The dining area will be centred around a large harvest table while still maximizing on the view of the reserve. The spaces are modern with interior details hinting at campaign style aesthetics. This is largely expressed using interior canvas roll-ups with leather ties and modernized trestle style bathroom vanities. The palette is neutral tone-on-tone with pops of earthy colour, quite reminiscent of the red soil on the reserve, and draws on textures from the beadwork and rattan elements being adopted in various light features.